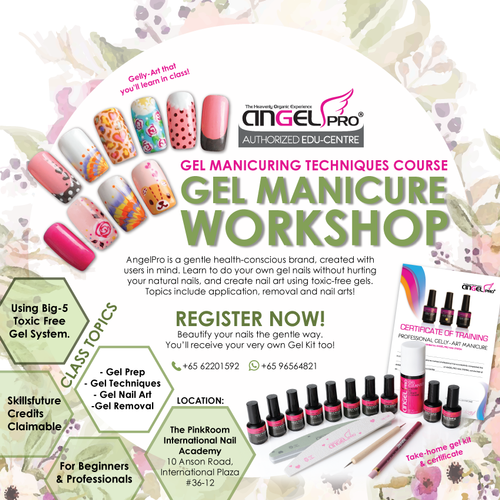 Learn how to do your own set of Gel Nails! Comes with take-home kit & certificate. Beginners are welcomed too. Gel used in this class is toxic-free, made in USA. The brand that cares for your health × beauty! Best part? $0* top up when you use your Skillsfuture Credits ($490). Whatsapp to 96564821 to register. *Subjected to credit balance in your Skillsfuture account. Singaporeans above age of 25 would have $500 Credit.